Remove any number of an opponent's dice showing damage (, or ). 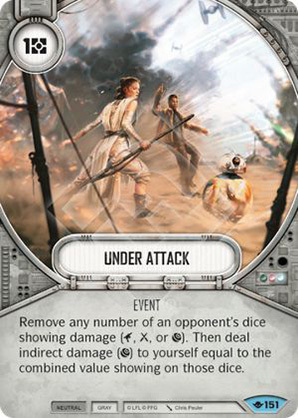 Then deal indirect damage () to yourself equal to the combined value showing on those dice. Way of the Force #151.